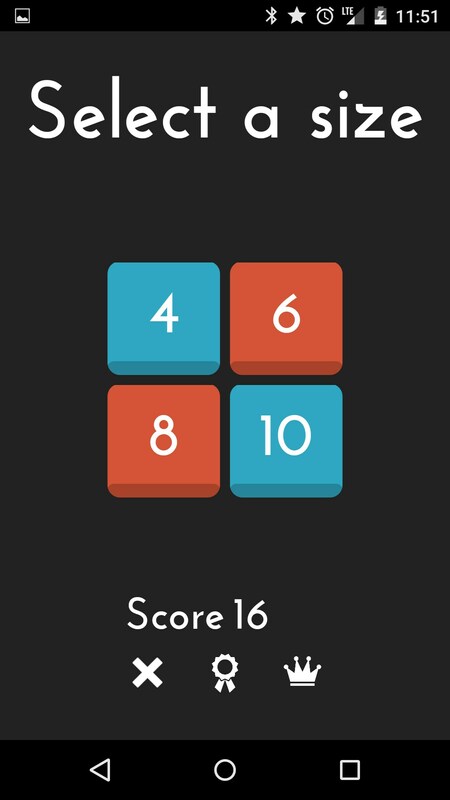 0h h1 – Games for Android 2018 – Free download. 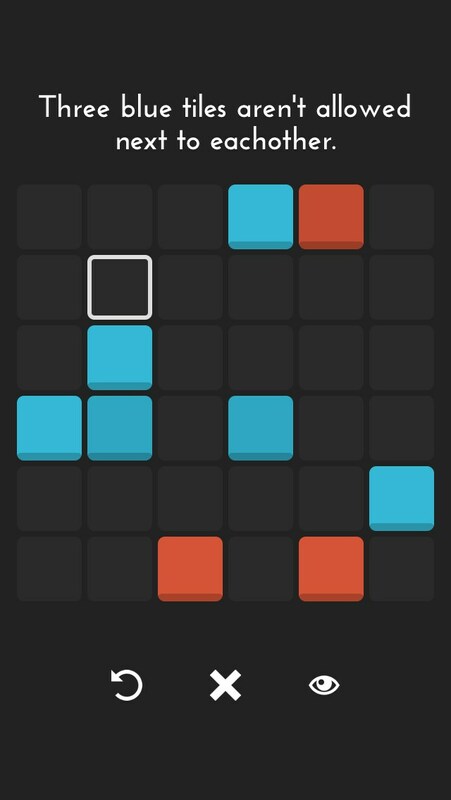 0h h1 – An interesting puzzle game with colored tiles. 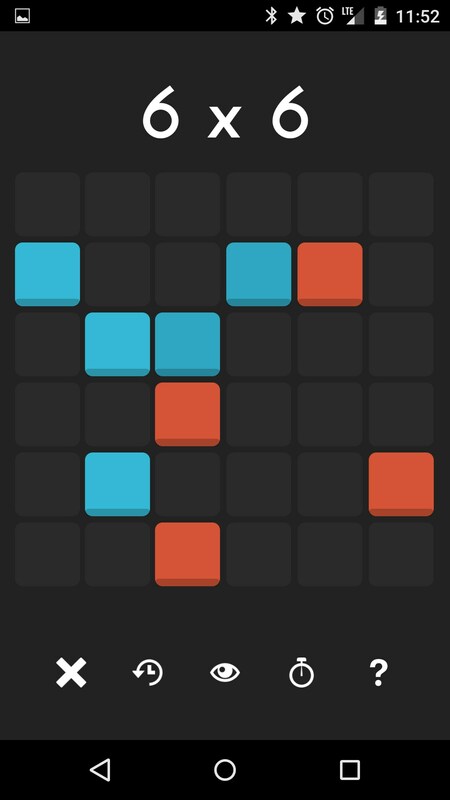 0h h1 for Android is a challenging puzzle game where you need to tap tiles into a red and blue pattern, to meet a whole bunch of strict rules. 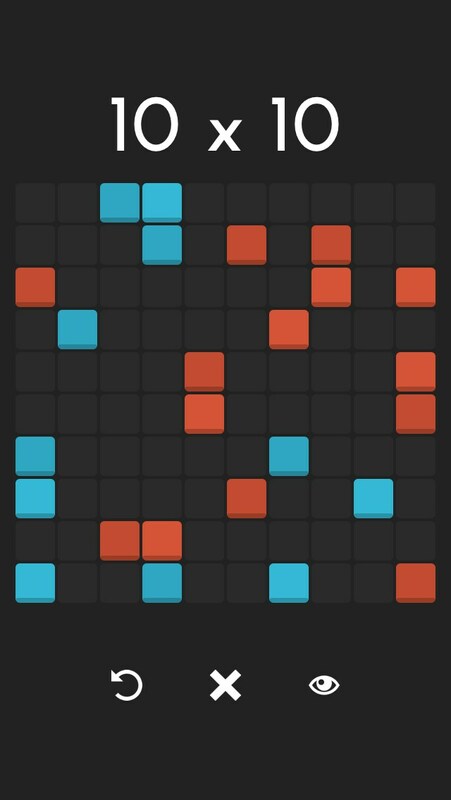 You can’t have three consecutive tiles the same color, no two rows or columns can be the same, and you need to have the same number of red and blue tiles in each row and column. 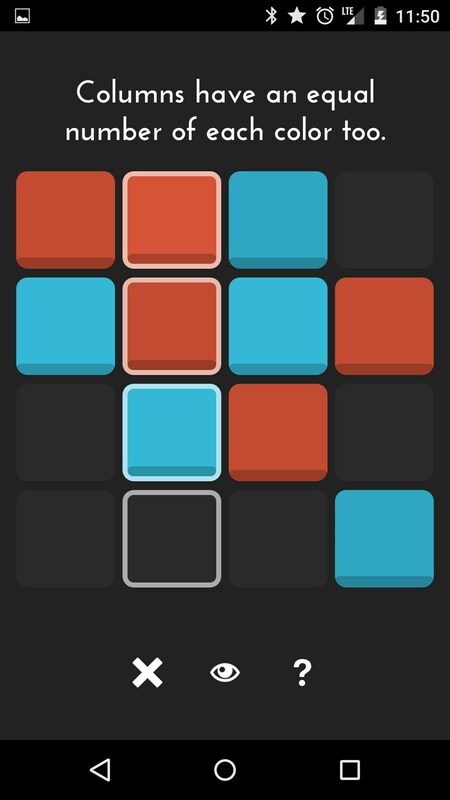 You’ll have to think a few steps ahead about how to change all the tiles so you can meet all these stringent conditions. It calculates a score based I guess on how long it took you, and how many steps, so you can try to beat your own score. I guess the ultimate challenge would be to fill the empty spaces correctly the first time. 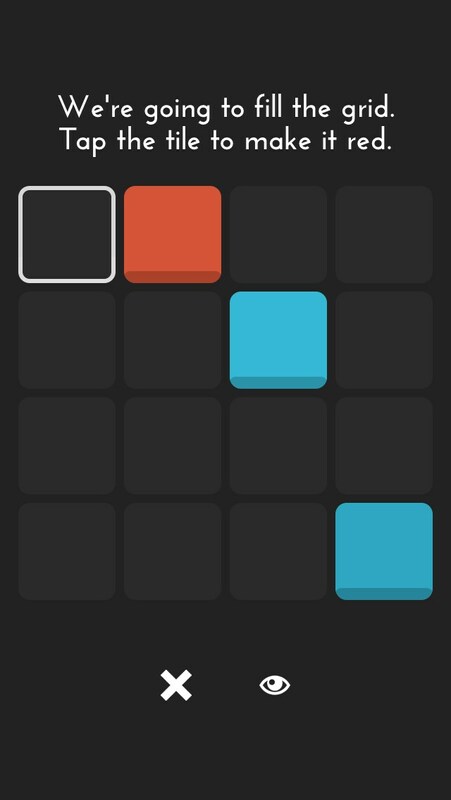 You can play on a 4x4, 6x6, 8x8, or 10x10 grid. 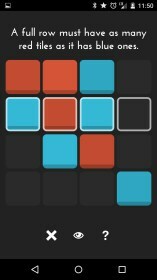 The 4x4 game is fairly easy to master but good for a bit of fun. 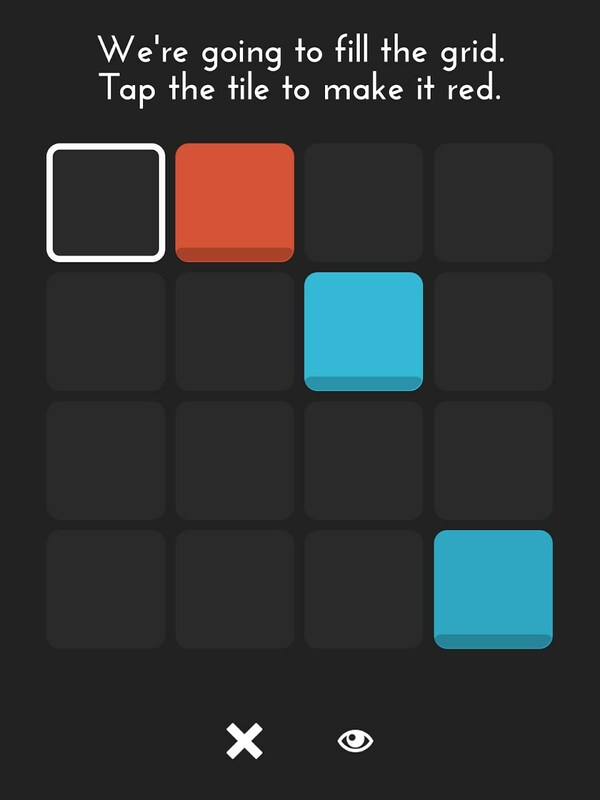 6x6 is more challenging, but good to give your mind a bit of a workout. Anything bigger than that just seems like too much to manage. How are you meant to juggle all the different rules and combinations at the same time? It’s possible to finish them, but only by following the suggestions, not really by thinking the whole through for yourself. 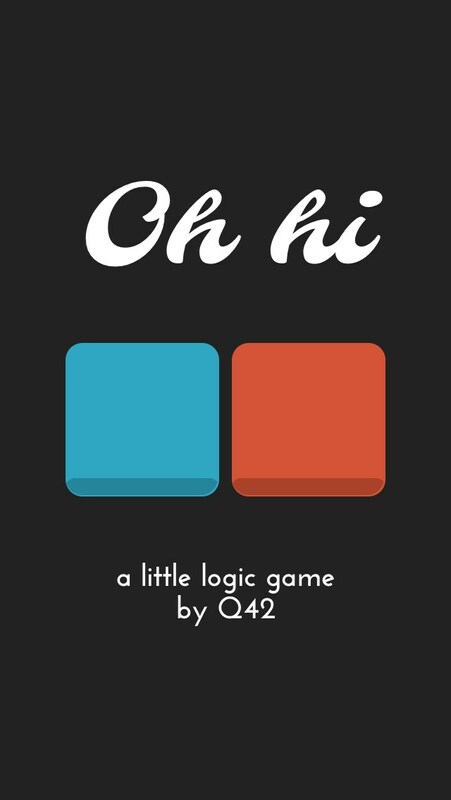 I like the simple game design, and it seems pretty original. But having solved the puzzle once, there doesn’t seem like there’s that much to make me want to keep doing it again and again. 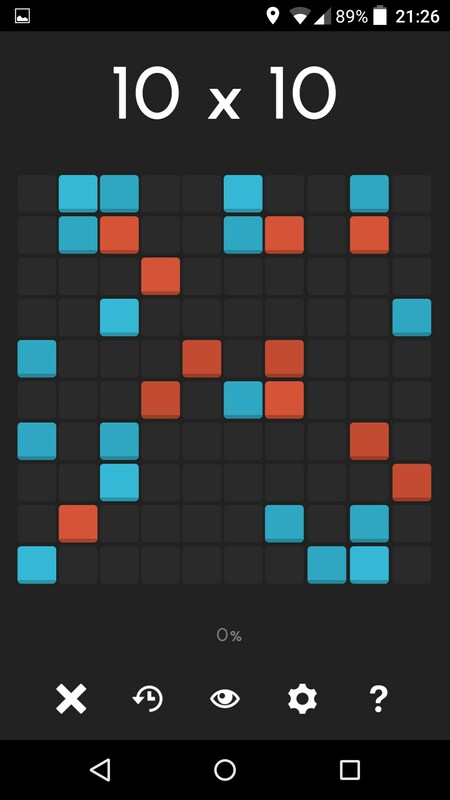 The tiles the game starts with are locked so they can’t be changed. I guess this is to make the game more difficult, so you can’t change anything you want, and constrains it a bit. I’m not sure if there is always just one solution; but it seems like there would be multiple possibilities, especially on larger grids. Unique logic games are finally seeming to become a really cool fad on the mobile game platform, which I’m really digging. 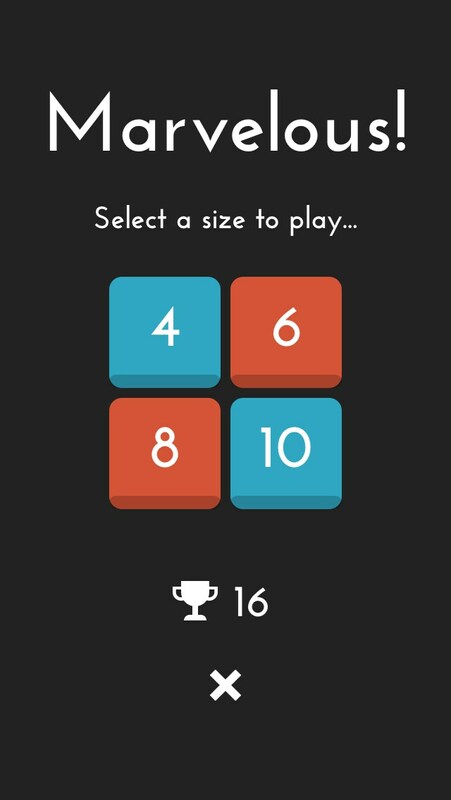 0h h1 for Android is a game that cleverly borrows a few ideas from really popular puzzle games and puts a cool twist on them. 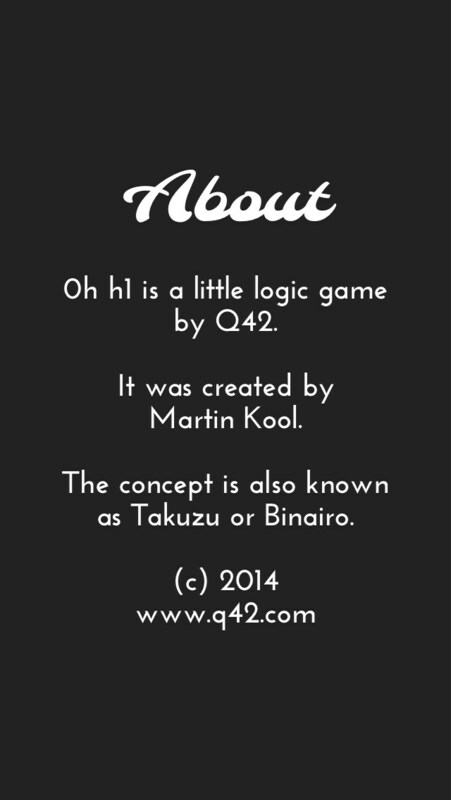 Also, what does the name of the game look like to you? 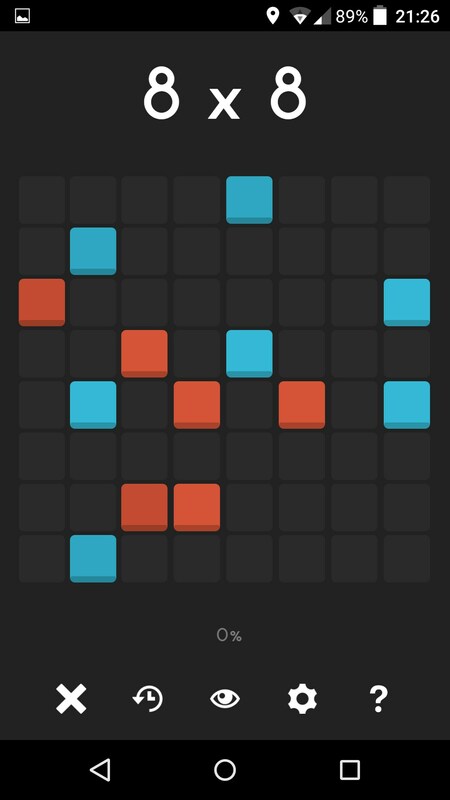 Gameplay is grid-based and the main way I can think to describe it is comparing it to Sudoku with colors. You’re not trying to figure out a math problem necessarily, but you’re trying to fill out a grid with a few limitations. 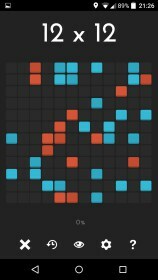 First off, you can’t have more than a few of the same colored tiles next to each other. 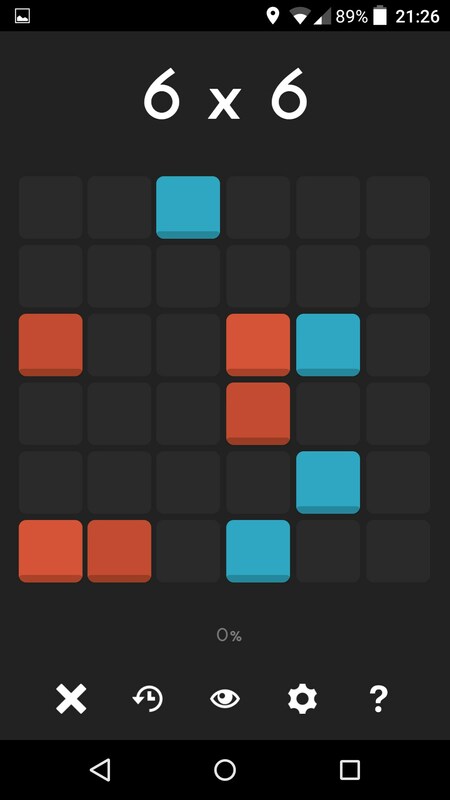 You also have to have an even amount of colored tiles in each column and row. 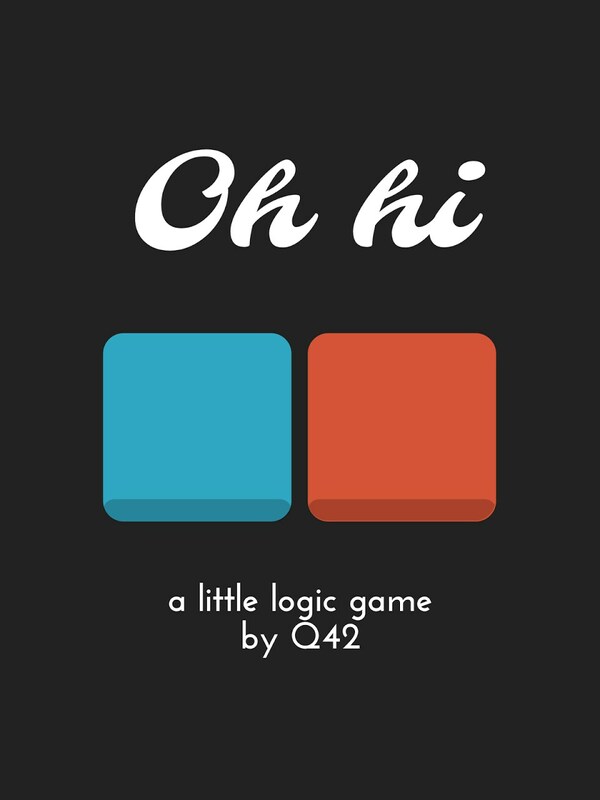 A typical 4x4 game is really simple, so the game let’s you dramatically increase the difficulty by allowing you to increase the size of the board. 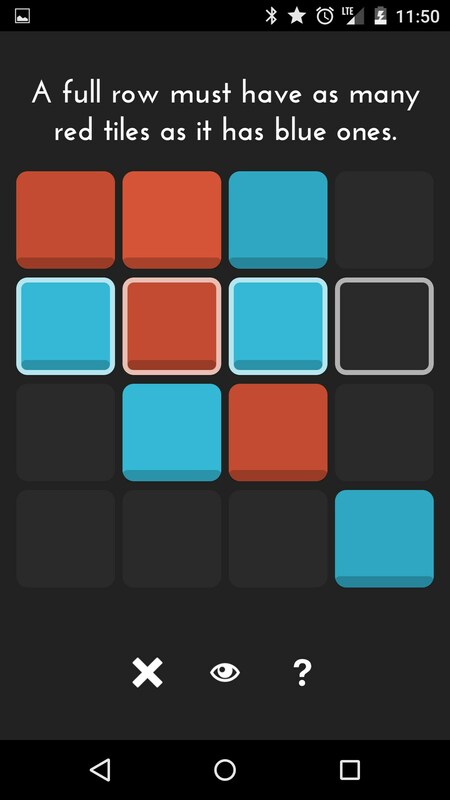 Just bumping it up to a 6x6 board is a pretty decent bump in difficulty, but not overly so. The game’s aesthetic and UI is really great. 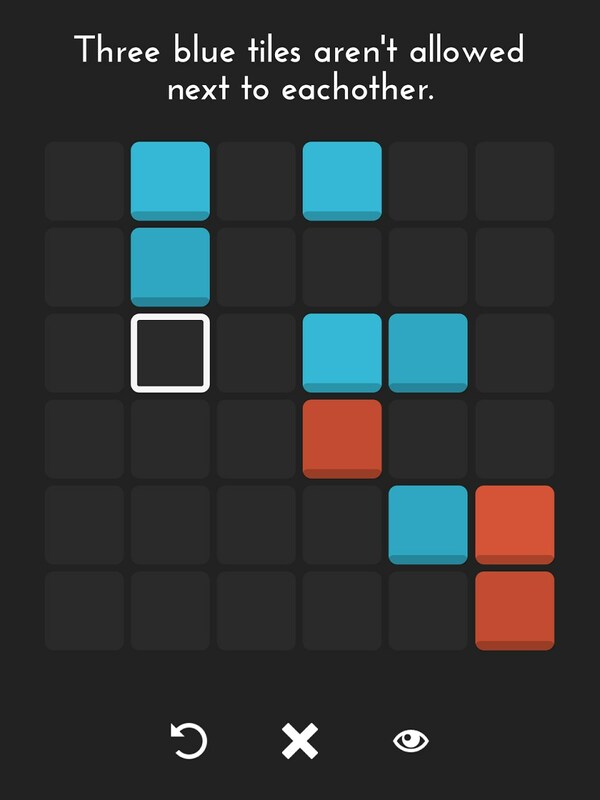 Everything is really simple and I really enjoy the black, red, and blue color scheme the game has going on. It just feels really clean. 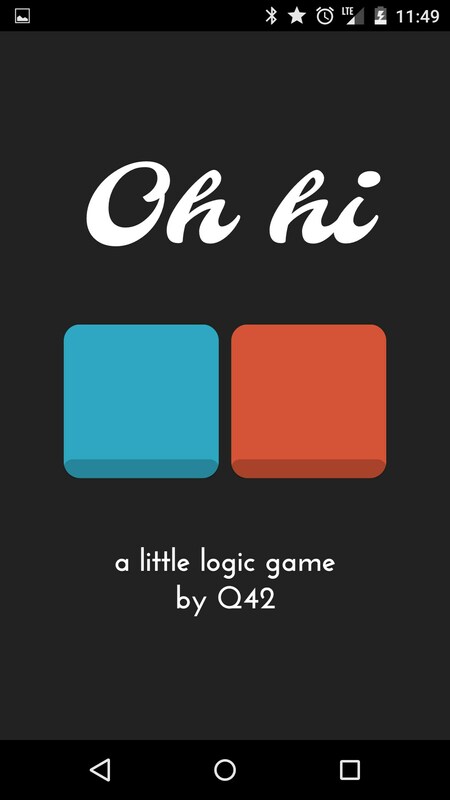 0h h1 is a logic game with difficulty that scales to whatever you want. 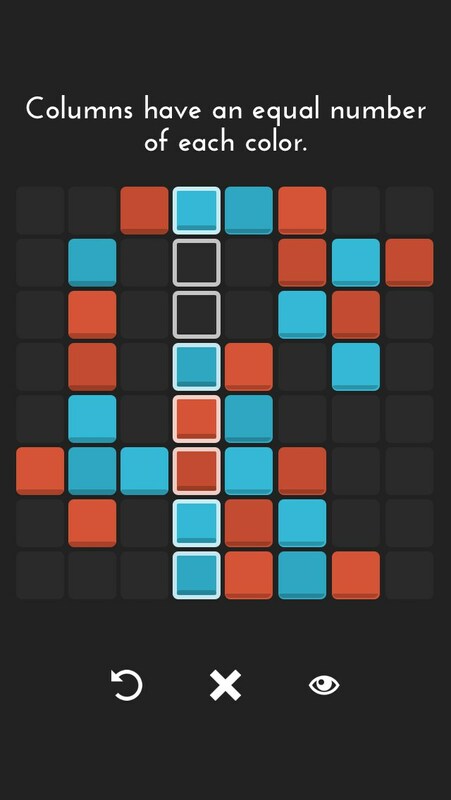 Unlike other level-based puzzle games, you can set your own difficulty and every game is based on your own decisions, which is a really unique idea. I’d definitely recommend giving this a go the next time you’ve got a few minutes to kill.